Musician and Mathematician for hire! I'm a graduate from CSUSB with a degree in Mathematics. Music, Math and teaching are three of by biggest passions. I enjoy tutoring math and giving music lessons. Guitar is my primary instrument, but I can also teach drums, piano, bass, vocals, and more! I can tutor math from K - 12 and the college level. I can also tutor in reading, writing, science and some history. I've been a tutor and music instructor for about 4 years. I've tutored for different tutoring companies, and have tutored privately. I really enjoy helping others and sharing knowledge that I've acquired over the years. I am very patient, personable, outgoing, and dedicated. I will do my best to insure you are getting the best instruction and I will answer all of your questions to the best of my ability. I have my degree in Mathematics, and have studied math beyond the Calculus level! I've been playing guitar for 15 years! It's what I love to do, and I play every day. 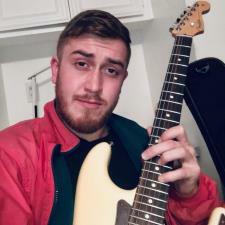 I enjoy learning songs as well, writing my own songs, playing in bands, and teaching! I've also played other instruments on and off over the years. Rate details: The hourly rate may vary depending on the subject and the location of the student. I charge $40 an hour for students that live far away from me. I give discounts for multiple hour sessions. I have been playing guitar for over 15 years, as well as many other instruments such as piano, drums, bass and vocals. I can also play many other stringed instruments. I've played in multiple bands, and can play many different styles including rock, pop, classical, flamenco, funk, reggae, and metal.